An accomplished leader in the academic and healthcare sectors, Dr. Verna Yiu has been involved in public sector governance for over two decades. She is currently President and CEO of Alberta Health Services (AHS), Canada’s first and largest province-wide health system that’s pioneering how care is provided to more than 4.2 million Albertans. AHS has been recognized as a national and international leader in many clinical and administrative areas, and was recently named one of Canada’s Top 100 Employers. Dr. Yiu is guided by the principle that healthcare is a people business, built upon strong and collaborative relationships. 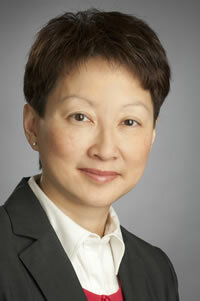 Creating the stability and vision that people and organizations need to succeed, strengthened within the objectives of Quadruple Aim, have been hallmarks of her governance style – first in her role as Interim Dean of the Faculty of Medicine & Dentistry at the University of Alberta and now in her current role. Since taking the reins of AHS in January 2016, she has strengthened relationships with AHS’ many partners, including government; academic institutions; health foundations; the AHS workforce; patients, clients and families; and communities across Alberta. By doing so, AHS has bolstered community engagement, collaborated on world-class research, led the country in many health performance indicators and met budget targets – all with one of the leanest healthcare administrations in Canada. Dr. Yiu previously served as Vice President, Quality and Chief Medical Officer in AHS from 2012-2016. She has won numerous awards for teaching and clinical excellence. Dr. Yiu is a Professor of Pediatrics at the University of Alberta and continues to practice as a pediatric nephrologist.